The consistency of all three shades I swatched is thicker than the your average polish, it almost has a bit of that gel polish feel but it won't require a lamp to dry. The pigmentation of all three shades is quite rich and the formulation self-levels so that's always nice. 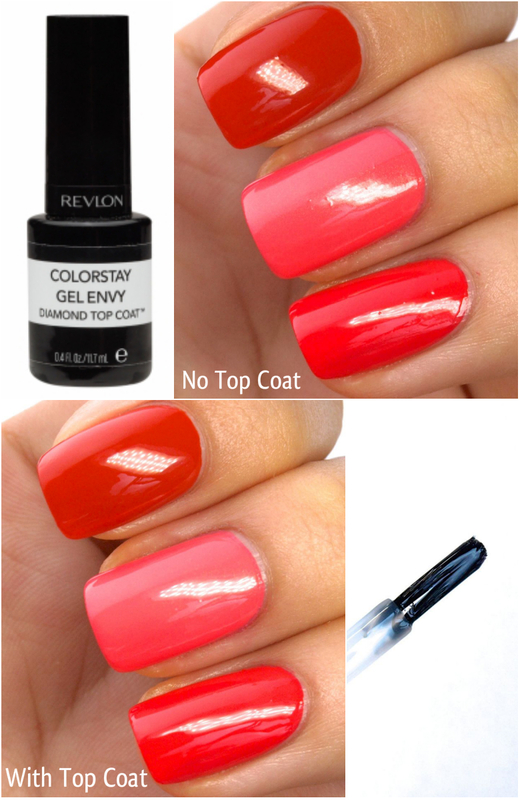 The drying time is decent and Revlon says the polishes has a built in base coat so that definitely helps save time. I had a tiny bit of issue with bubbling since it's hard to apply thin coats with the formulation being so thick, but I guess this can be avoided if I wait longer between each coat. I thought I'd talk about the brush design because it is slightly unusual. The plastic portion attached to the bristles is very wide and flat and tend to carry with it a lot of polish; this made it very easy to over-apply the polish and cause flooding. 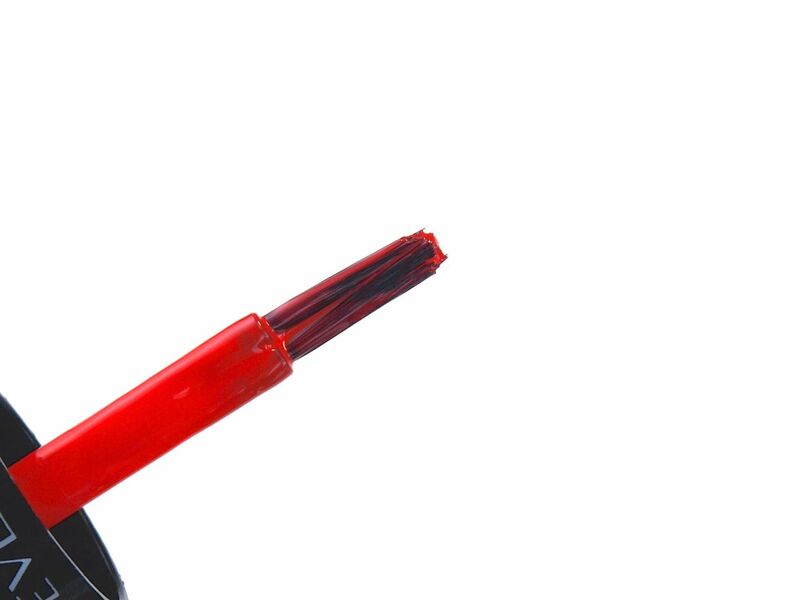 The brush itself is made of two individual bunches of bristles, as you can see from the picture. The ends of the brush is very jagged and though not as wide as say the OPI wide-brush design, it still made it more challenging to get clean lines around the cuticle, especially if you have a more curved cuticle line. The brush of the Diamond Top Coat is the same but with the top coat, the thicker, clumsy design doesn't cause as much trouble since topcoat application doesn't need to be extremely precise. But with that said, I am not fond of this brush design. I get that it's meant for a easy two-stroke application but it ends up being harder to maneuver, especially for beginners. 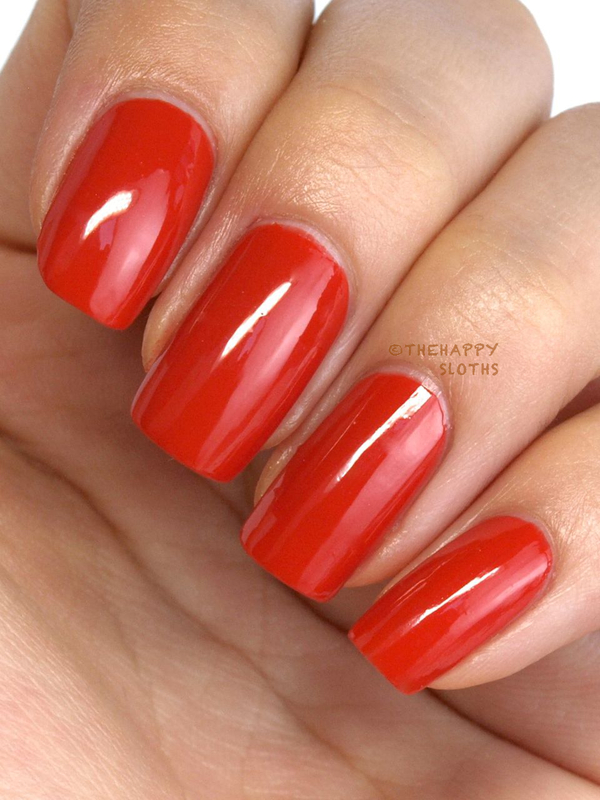 "Long Shot": This one is a beautiful, rich burnt orange, perfect for fall and winter. The pigmentation is decent, two to three coats for opacity, depending on how thick each coat is. 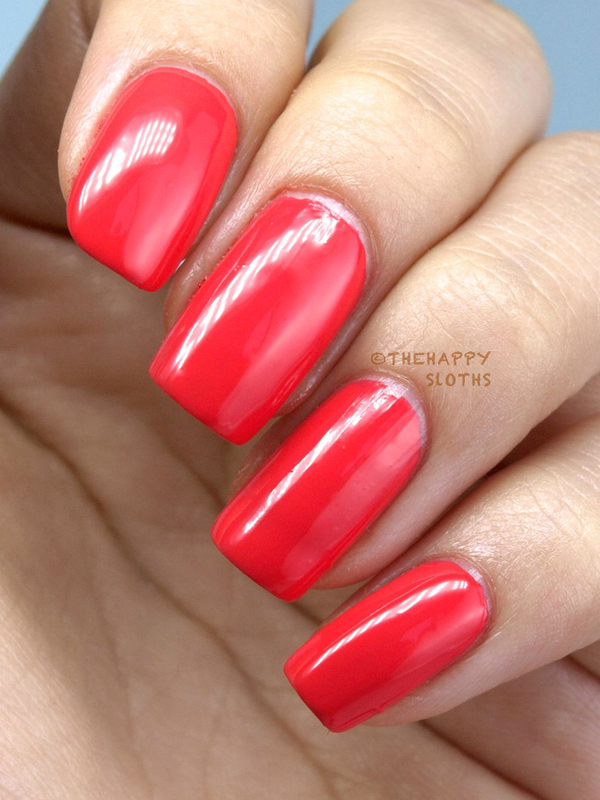 Pocket Aces: This one is a bright warm pink, perfect for the summertime. The pigmentation is great for this one, I used two coats. 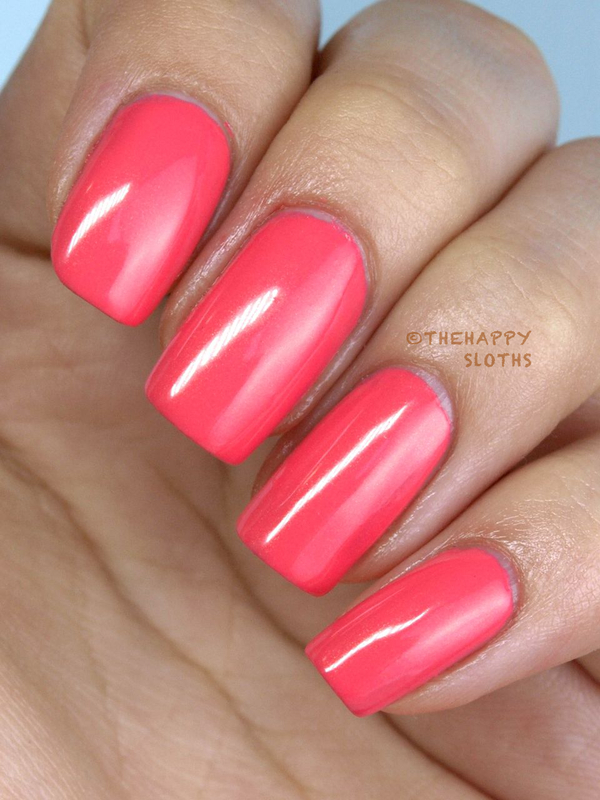 Lady Luck: This one is a gorgeous light pink. From the bottle you can see subtle gold micro-shimmers but once applied to the nails the shimmer is hardly noticeable. The pigmentation on this one is very good, I used two coats. Developed especially for the Gel Envy Longwear Nail Enamels, the ColorStay Gel Envy Diamond Top Coat protects and provides long-lasting shine. For me, longevity isn't a big concern as I change nail color so often so the qualities I look for in a top coat is drying time and formulation/brush design. The Revlon ColorStay Gel Envy Diamond Top Coat dried fairly quickly, it's not as fast-drying as Sally Hansen Insta-Dri but I won't gloop up during application, which is a big plus. The special two-bundle brush design works quite well with stamping and water decals as it doesn't cause any smudging. I didn't have a chance to test out the longevity of these but the finish is very shiny and once it's completely dried it will protect the base color from dents and smudging. I do like the rich pigmented formulation of the ColorStay Gel Envy Longwear Nail Enamels but I am not a fan of the brush design. I am very big on getting clean lines around the cuticle so I really need polishes with a good brush that's easy to work with. The ColorStay Gel Envy Diamond Top Coat I quite like. I like that it's super shiny and fast drying, and the fact that the thicker (but not gloopy) formulation and the brush design allows it to be used for nail art and stamping is a huge plus for me! 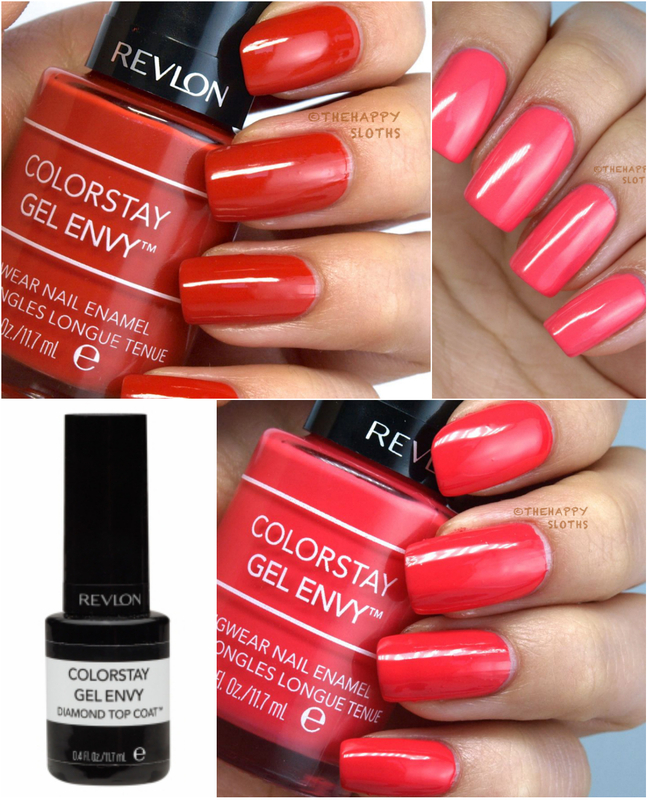 The new ColorStay Gel Envy Collection is available Canada-wide starting May & June 2014.